Hi Everyone! 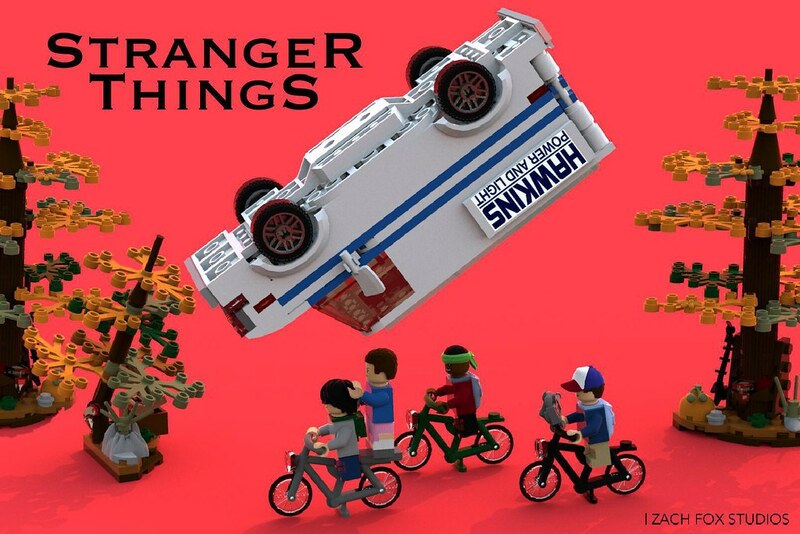 This is my Stranger Things LEGO Ideas set. Stranger Things is one of my favourite shows, so this was a passion project of mine, I spent a lot of time and effort into creating this set. 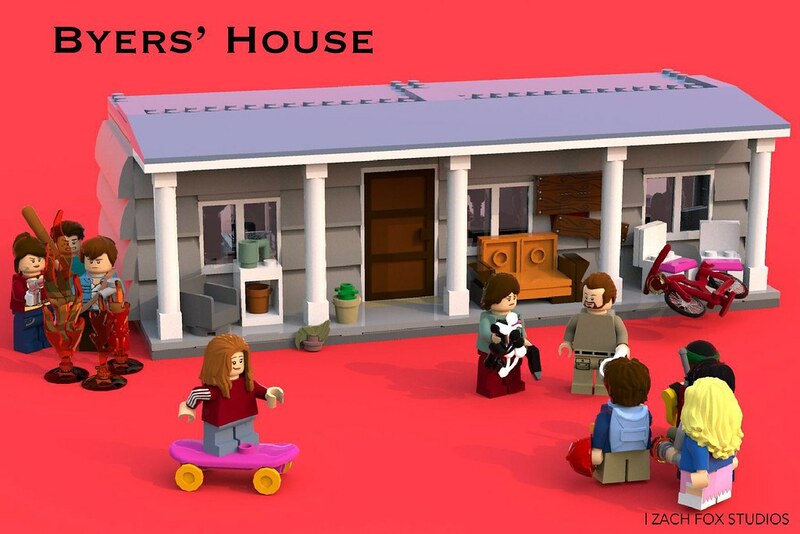 While it was rejected from LEGO ideas and never made it onto the LEGO Ideas website, I'm still really proud of the end result and had a blast making it. 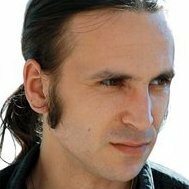 Bellow follows some images of the project as well as a YouTube video with my commentary & more images. Thanks for taking a look! I would love to hear and discuss any feedback, criticisms and thoughts anyone might have. Thank you!! Excellent concept @Foxes Productionz, and great execution too! Each of these builds could've been passed off as decent playsets quite easily without being skimpy, and the all of the characters' minifigure representations look pretty darn perfect for being completely purist! Particularly, your purist Demogorgon and Demodog builds are superb, and that reusage of the Series 16 Scallywag Pirate headcap piece for Lucas is brilliant! Plus, your usage of Finn's hairpiece for Eleven is much better than the typical usage of the traditional male minifigure hairpiece. I've never seen the show but I'm guessing that the big tan building's windows are meant to represent the wire lattice that you see in certain institutional buildings? The SNOT construction you used along with those large plates is just inspired - a great solution! This is wonderful! I absolutely would have voted for this! 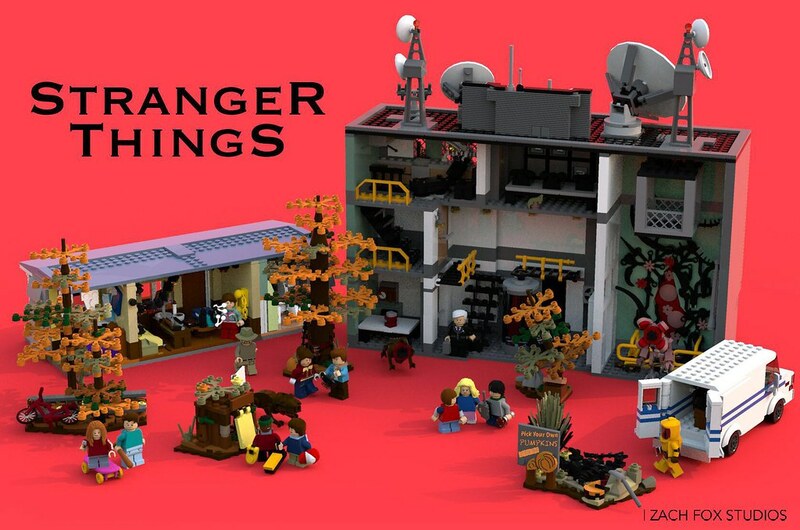 Stranger Things is fantastic, and this is a great set of builds to represent both seasons of the program. I don't know why LEGO would have rejected this project. Are there perhaps too many pieces? 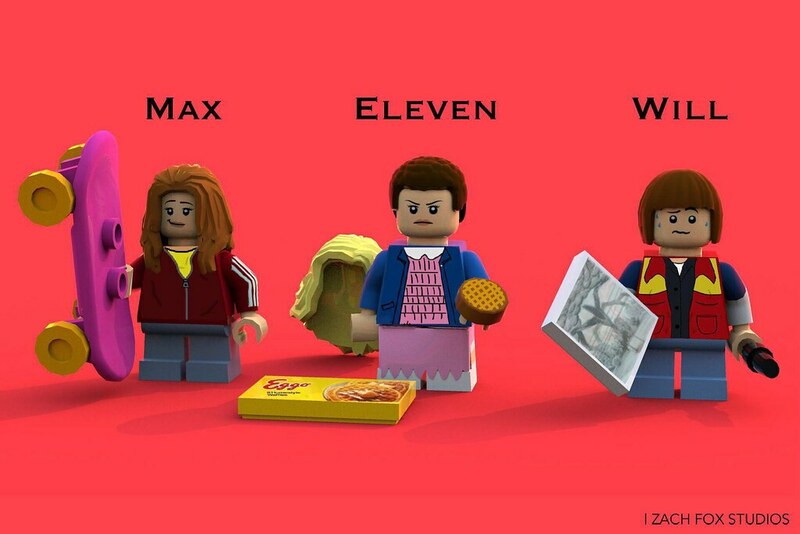 Maybe it's the Eggo product placement? Anyways, I love what you've done with the van, the lab, and the house. 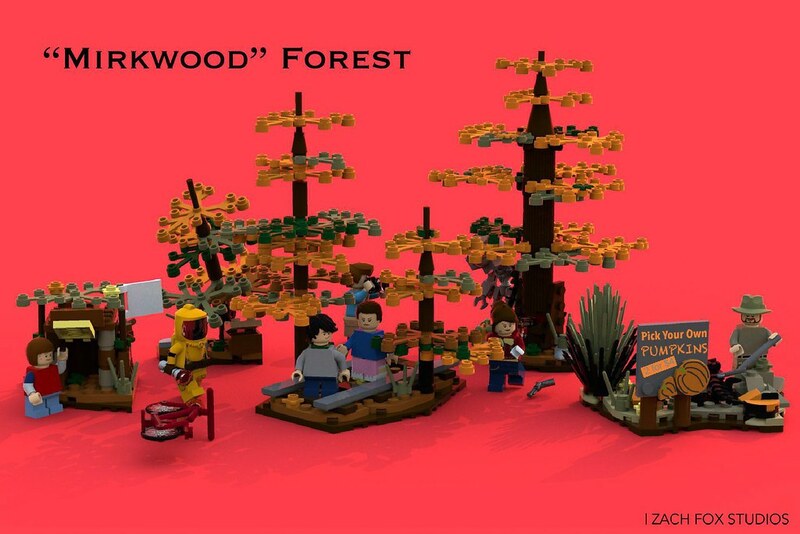 The forest builds are great as well. The Fort Byers build is really nice, and despite my disdain for brick-built creatures you've done an awesome job with the Demogorgon and Demodogs. Even Dart is a clever usage of parts. Thank you, I appreciate the kind words!! It's really cool for someone else to pick apart the set, knowing where different pieces originated from. I think Nancy could use a new mould for her hair, as well as some new hat hair combos for Dustin and Hopper, but otherwise I'm quite happy with how they turned out. 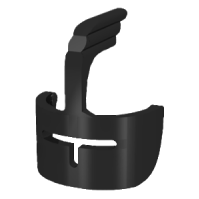 Large or human-scale weapons or weapon replicas of any kind, including swords, knives, guns, sci-fi or fantasy blasters, etc. As you can see the show ticks a number of these boxes making it quite unlikely to ever make it through the review stage. But I thought it was worth a shot anyway! I guess the subject material has swearing in it, but your set didn't have anything objectionable. I think they're a bit strict if they aren't going to allow this, because there's nothing that mature in Stranger Things. It's a bit scary, but oh well. Still, great builds and nice work replicating some iconic moments from the show. Even though it didn't get accepted at Ideas, I surely love it. Yeah, the excuse they gave was that the show didn't fit within their guidelines because of the horror/violence aspect. It seems kind of cheap to me that they're cranking out sets like Overwatch that seem to violate their "no first person shooters" policy but they won't accept masterfully crafted sets like this that contain a mildly horror subject matter. Thanks for sharing that link - you're right, the original is absolutely not what I had in mind, but it's still a good recreation. It looks great; too bad it was rejected. 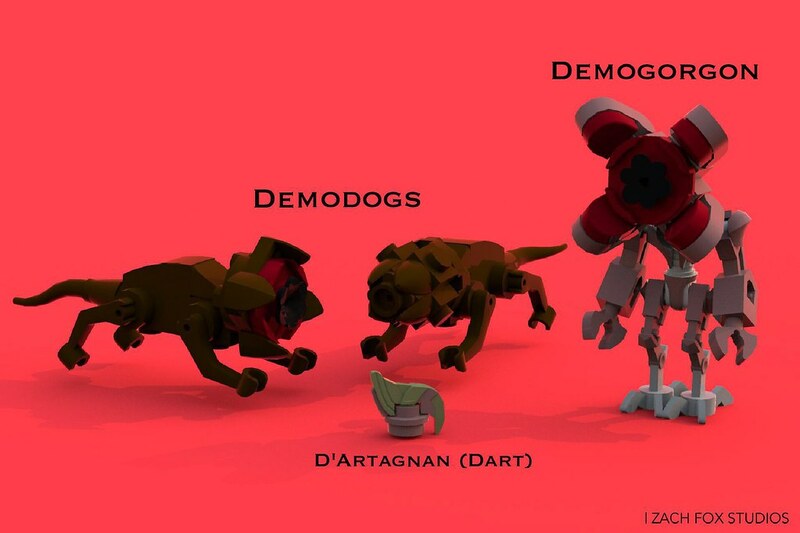 Really love the way you built the demodogs. You're welcome. Yeah, too bad they rejected it, but from a certain point of view, its understandable (not that I agree with it, but I can see their reasoning). 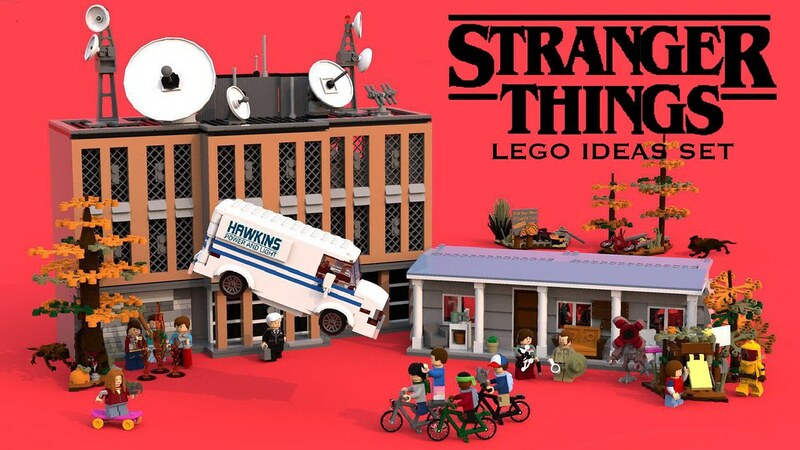 Our Stranger Things MOC was pretty small, but if we ever decide to build another one, we'll draw inspiration from you! I love this! Sadly I think the topic might be too mature for Lego... although they've surprised me before.